If you diet, you will fail. Although, I hate to call it failure, because there are real physical and biological reasons why depriving yourself of calories will backfire (all described in that post). Really, it's not you failing, it's the diet. But, when you make changes with the goal of losing weight and end up gaining back more, that's sure as heck what it feels like. Working with men and women who have spent a huge chunk of their life dieting, it's no surprise most of them feel like huge Failures, capital F intended. It's also no surprise that when I bring up intuitive eating, this novel approach to eating, their first response is fear of failure. I mean, if you can't manage your eating with clear rules, how on earth are you supposed to manage it without all that structure? One thing I've noticed the people who struggle less with intuitive eating are the ones who dive in head first. They know it will be hard but trust the process. By the way, I'm measuring success NOT by pounds lost but by developing healthier attitudes towards food. Those who struggle most with intuitive eating in the beginning are those who are most afraid of failure. The thing is, it's impossible to fail at intuitive eating. As long as you're not going into it with a diet mindset, failure simply isn't a possible outcome. And even if you are going into it with a diet mindset initially (hey, it's hard to break up with dieting), you're still much more likely to become a normal eater in time than if you were to start yet another cleanse or diet plan. It's not a test. No one is grading you. Intuitive eating is a tool for better understanding your emotions, body and it's needs . It's not a set of standards with pass/fail criteria. The goal is learning. If you attempt something, you learn. Even if the outcome isn't what you expected or desired, you've still gained valuable knowledge. And that's what we call #winning! Setbacks are opportunities for growth. Working with clients on intuitive eating, we welcome slips and struggles as learning opportunity! Think about something you do well - did you not fail dozens (hundreds, thousands!) of times before succeeding? Failure is not opposite of success, it's part of success. If you're going into intuitive eating with a fail/succeed mentality, then you're still in diet mode and will probably experience the same outcome you've had with every other diet - bingeing, overeating, weight regain, self loathing and general unpleasantness. The thing you are most afraid of has already happened. Are you afraid to start intuitive eating and taking a non-diet approach to address your eating concerns? Know that whatever it is you're afraid of, the worst thing that could possibly happen has already happened. That's why you're afraid of it, because you've been there, and it wasn't fun. But remember, you also came out the other end. You lived. And you know, you probably came out with more knowledge, experience and as a stronger person too. You know what to expect with diets. Intuitive eating is unknown, so it's important to have a partner, cheerleader and guide. 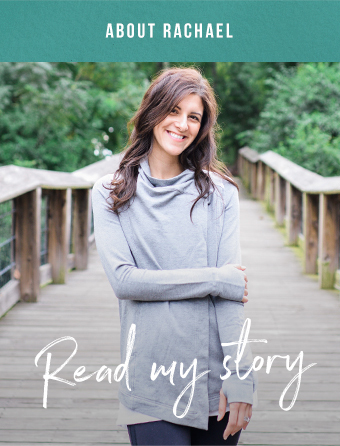 If you're interested in nutrition coaching, I hope you'll check out my services and email me if you're ready to get started with virtual or in person nutrition coaching. I'd be happy to set up a free 15 minute phone consult to see if we're a good fit to work together or guide to you resources in your area. What's scariest to you about intuitive eating?